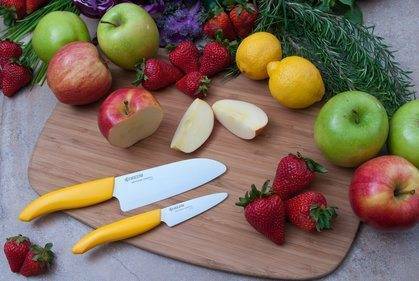 Every kitchen needs the right ceramic knife set to make food preparation fast and efficient. Using the wrong knife set will result in lower quality cuts and a longer overall prep time – which no cook wants. 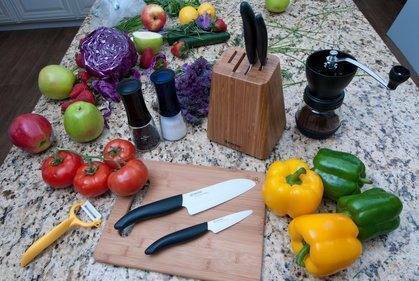 If you’re slicing produce, meats or cheeses without a ceramic knife, you’re doing it all wrong. Most knives are made with metals that dull over time, but ceramic knives are made with zirconium dioxide which has a much harder, durable blade that doesn’t dull quickly. Precision cuts demand ceramic knives. 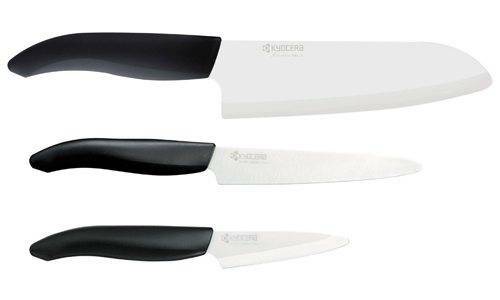 A beautiful set of three knives that includes a beautiful plastic handle and a lifetime warranty on the blade. One of the major reasons why the Kyocera Company has done so well in recent years is that they offer a lifetime warranty on their products. If any one of these blades chip or become damaged, they’ll be repaired or replaced for free. That is an amazing guarantee on your investment. Razor sharp out of the package, you’ll enjoy superior edge retention and a lightweight design that allows for quick slicing and chopping. The largest knife in the arsenal. This is the ideal choice for slicing through apples and pears, or swiftly chopping up vegetables. Boneless meats and fish are also easily cut with the Chef Blade. I love this knife when cutting through foods that have the waxy or slick surface – like a tomato. Foods that have a rough skin but are soft inside are perfect for this knife. My go-to choice for garnishes, mincing and peeling. 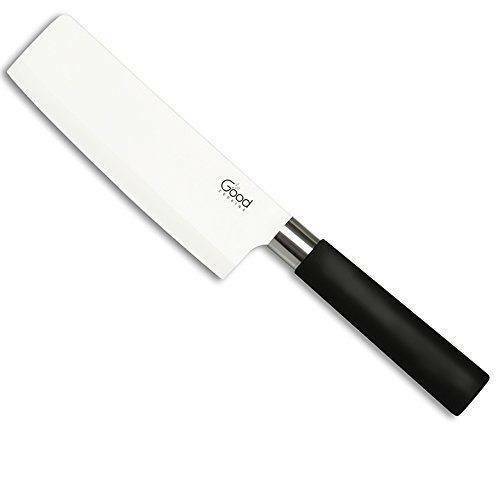 The 3-inch blade allows for quick slices and chopping needed for creating sauces or cutting up onions. One thing I do want to note is that these blades should be hand washed instead of placed in the dishwasher. And, if you attempt to cut through bone, you’ll definitely chip the blade in the process. For me, this is one of the most affordable, best ceramic knife sets on the market. Can you tell how much we like the Kyocera brand? This knife set is a little different than the Revolution. While it’s a 5-piece set, keep in mind that there are 4 actual knives with the fifth piece being the actual bamboo knife block. The same amazing warranty is offered with this set. The Bamboo set includes blades with four different sizes: 3-inches, 4.5-inches, 5.5-inches and 6-inches. We already talked about the other set and how you would use the 6-inch and 3-inch knives. The 5.5-inch blade simply replaces the 5-inch blade in the Revolution set, which we use for waxy foods with harder exteriors and soft innards. The 4.5-inch knife is the true addition to the set, and is your general utility knife. You’ll use this knife for mincing, slicing smaller cuts of meat, and generally any time you don’t have your 3-inch or 5.5-inch blade available. If you and your husband or wife cook together, this allows both of you to chop up foods with ease instead of waiting for the other person to finish before you can begin prepping, too. The other major component to this set is the durable, aesthetically pleasing bamboo block that is included. You’ll place all of your knives into the block, ensuring the blades never dull and all of your knives are stored safely. On the bottom of the block are rubber feet to ensure it stays in place on any surface. santoku, you’ll use these knives daily in your kitchen for chopping, mincing, slicing and even cutting bread. 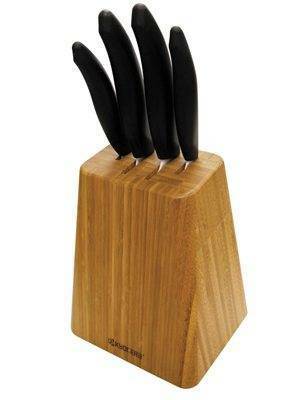 With a lifetime warranty and a bamboo knife block, this is an exceptional set and one of my personal favorites. If you’re looking for a knife set that is different than the last two options presented, the Sushi Ceramic Knife Set by Good Cooking may spark your interest. 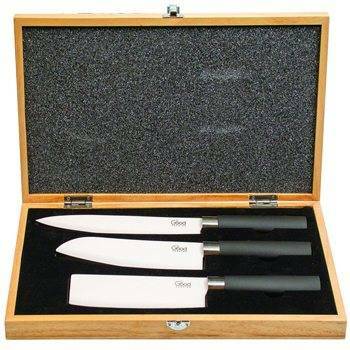 This three-piece set includes the following knife types: Sashimi, Santoku and Nakiri. And, this set also comes with a wooden carrying case. Made with food grade ceramic, these knives are razor sharp and perfectly balanced. You’ll never experience rusting, and you won’t need to sharpen these blades for a very long time. 6 1/8” Nakiri Knife: Double bevel designs allow for a Nakiri Knife to cut through vegetables with ease. While these knives look like mini-butcher knives, they have been specially crafted to easily chop through vegetables with the utmost speed and precision. 7” Santoku Knife: My go-to choice for dicing and slicing. The word “Santoku” normally has the addition of “bocho,” which in Japanese, means “three uses.” What are the three uses of the Santoku Knife? Slicing, dicing and mincing. 8” Sashimi Knife: The longest knife in the set is the Sashimi. Traditionally, these knives are used to slice raw fish and seafood. Slice beefs for a stir fry, chop up vegetables, and even slice through raw fish with ease. This is a set with very specific functions, but a wide range of uses. What I really like about this set is that all of the blades are razor sharp and have a specific purpose in the kitchen. With the carrying case, these blades fit perfectly in any kitchen or for on-the-go use. And, the handles are soft and durable, allowing for a tight grip at all times. With a light weight, these knives will last you decades and will be used daily. Ceramic knives are optimal for one reason: their hardness. When you buy a ceramic knife set, you’re getting a blade that is likely made from zirconium dioxide. This is done through a dry-pressing process that results in a hardness of 6.5. Being harder allows for a sharper blade that rarely dulls. A lighter weight than most metals. Tiny pores to allow for easy cleaning. No chemical properties that can leech into foods. A higher hardness doesn’t mean ceramic won’t break. If you’re trying to cut through frozen bone, you’ll break your blade 9 out of 10 times – with most knives. If you want to cut through frozen bone, use a butcher knife. But, if you’re slicing boneless meats and vegetables, nothing beats a ceramic knife. Your kitchen is empty if you don’t have a ceramic knife set available. 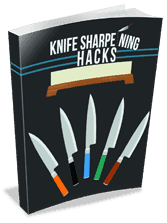 Stop cutting through cheeses, vegetables and meats with the wrong knife set for the job. A ceramic set will allow you the ease of cutting you deserve to make meal prep a breeze. 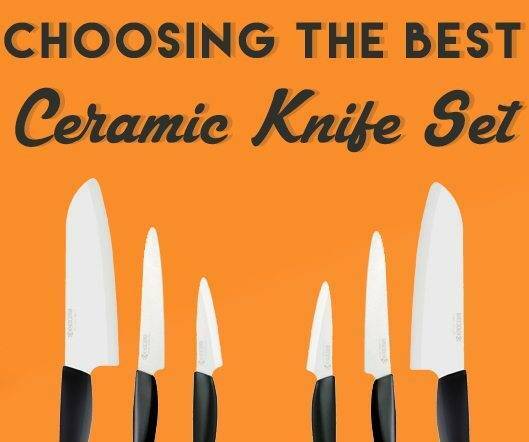 We’ve listed the top 3 ceramic knife sets to choose from, and now it’s your turn to decide on the right option for you.